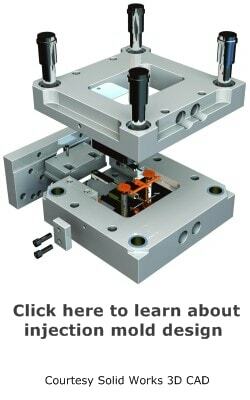 The question of how to choose an injection molder or mold maker comes up regularly and, like many things, has many different answers. We will take a look at some of the common experiences in choosing plastic molding supplier and hopefully several will fit your needs. What is the part design and how complicated is it. You can always get a simple part made very cheaply in China or another Asian country, but complex parts are quite another story. What is your delivery schedule? The price advantage of Asia can be very alluring, and often works out quite well. Consider though, the back and forth that can occur with engineering changes, mistakes, and even the initial tooling and production time frame. What are the dimensional tolerances of the plastic part? If you are needing high cavitation of very precise parts, your options are far fewer, though still more than enough to find a qualified molder. 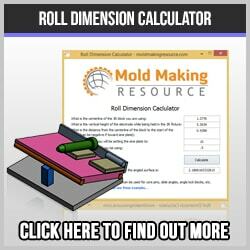 There is a huge difference between .0005 and .0002 in an injection mold. Reputation is worth gold. In today’s marketplace, word of mouth travels instantly via the internet. If a company is operating in an unscrupulous manner, you can be sure than the offended party will let the world know on Facebook, Twitter or a blog. What does the company specialize in? You certainly would not want a toy maker to produce your medical device and vice versa. 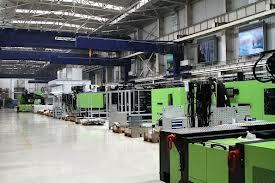 The best thing is to physically visit the injection molder and take a real life look at the facility. You can tell a lot very quickly with a walk-around visit. Be sure to ask questions and get real answers. There are many horror stories of companies who either neglected to actually visit the prospective molder or, if they did visit, never really took an actual tour. Some companies will take you out for dinner, show you a video presentation and do everything except actually show you their facility. This should certainly set off some alarms. Besides the technical aspects that are unique to your own particular company and product, use common sense. Is the place dirty? Are there rags soaking up hydraulic oil around the presses? Are there mounds of floor dry soaking up spills around the machine bases? Take a look at the workers. Are they at least reasonably happy looking? Nobody really likes running a molding machine, but, some companies provide cleaner and safer working conditions than others. If they treat their own people right, they are likely to treat you right as well. Are the molds stored in an orderly manner? Are the robotics all running, are the conveyor systems intact, is the material loaded into the machine correctly, and so on? These basic guidelines for choosing an injection molder at least provide a starting point for discussion and further thought. It is an important decision that will have lasting consequences.